Ian Macleod Distillers, has today announced the launch the first release from a new annual series of single malt Scotch whiskies, from its Glengoyne Distillery. 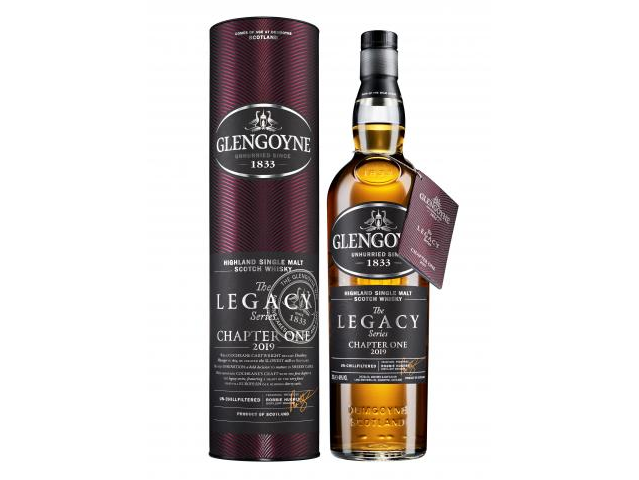 The Glengoyne Legacy Series: Chapter One (48% ABV) which is the brands first new global release in almost two years, is a no-age-statement bottling, which has been matured in a combination of first fill and refill European oak Oloroso sherry casks. The Glengoyne Legacy Series, is said to showcase the captivating stories of the Highlands based distillery’s history and its people from over the last two centuries. This first release in the new series, reveals the story of when Glengoyne’s Distillery Manager from 1869, Cochrane Cartwright, arrived at Glengoyne and took the famously unhurried production process, for which Glengoyne is renowned today, to the next level. Not only did Cartwright slow down distillation to a third of the industry average in order to maximise the sweet, fruity flavours of Glengoyne’s spirit, but it was also critically under his management that sherry casks were first introduced to Glengoyne. The Glengoyne Legacy Series: Chapter One, will be available from February 18th, via www.glengoyne.com for a RRP of £54.99.